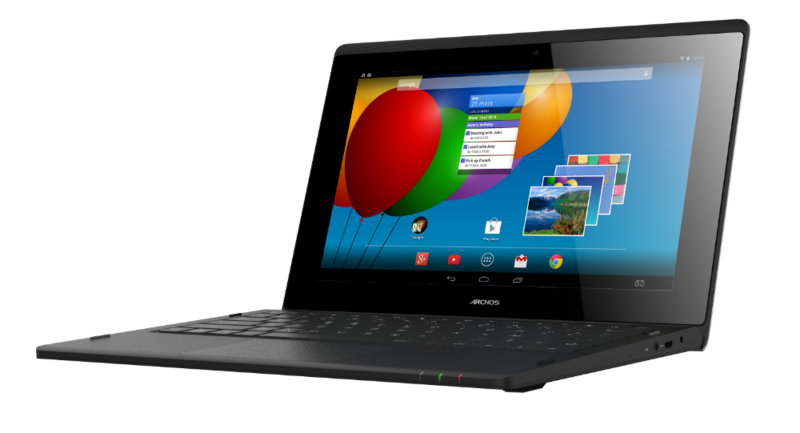 A new device was unveiled today from Archos, an Android-powered portable netbook called the ArcBook. The device features a 10.1″ (1024 x 600) touchscreen display, is powered by a dual-core processor clocked at 1.2GHz with 1GB of RAM, and comes running Android 4.2.2. The ArcBook comes with a full keyboard built in, complete with a mousepad and front-facing camera for video calls. The device features full access to Google Play, allowing you to download all of your favorite applications for working on the go, with Office Suite Pro 6 coming pre-installed as well. To top off your work goodies, Archos is throwing in 15GB of free Drive storage for all purchasers, which should be plenty of storage for your important work docs. While the specs may not overly-excite you, the price of the ArcBook might, listed at just $169.99. If interested, you can pick one up for yourself when they are made available next month.